AstroTurf would like to recognize their valued partner, Mid-America Sports Construction, on the occasion of the tenth anniversary of their relationship. It was back in 2009 when Mid-America installed their first AstroTurf field and the two companies have had a strong and successful partnership ever since. Mid-America Golf was formed 26 years ago as a full-service golf course construction company and only a year later they were performing their first athletic field construction. Mid-America quickly established themselves as an elite construction company and in the next few years, they built numerous natural grass fields before entering into the synthetic turf market in 2002. Over the next 10 years, they built well over 100 synthetic turf bases all across the central and southern United States and installed their first AstroTurf field in 2009. In 2011, Mid-America became an exclusive distributor of AstroTurf and since then the two companies have worked very hard together to give their customers the very best possible field building experience. Mid-America formed an additional company in the fall of 2013, Mid-America Sports Construction, to brand the athletic field side of the business. 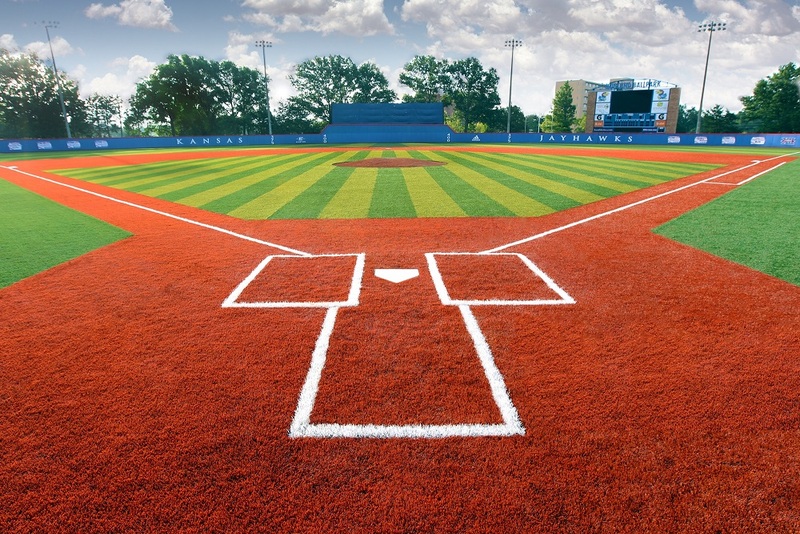 As AstroTurf’s exclusive distributor in the central region, MASC has worked on such notable projects as the University of Missouri Baseball, University of Oklahoma Football and Baseball, University of Kansas Baseball, University of South Dakota Football, Tulane Baseball, Kansas State Football and Baseball, KC Urban Youth for the Kansas City Royals, and countless others. Mid-America always likes to say, “We are only as good as our last project”, and when you look at their impressive resume and some of their projects, you will see that they are really good. 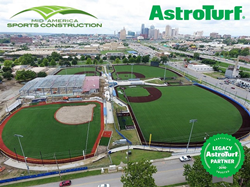 With Mid-America’s turn-key services, self-performing crews, complex project expertise, long-term commitment, full maintenance services, and quick response times, AstroTurf is proud to have such a great partner in the Central United States. Mid-America Sports Construction is truly AstroTurf’s “Heart” in the “Heartland” and we look forward to many more years as having them as an AstroTurf Legacy Partner.